Andhra Pradesh state Treasuries and Account department provide the various kinds of online services for Andhra Pradesh government retire employees. 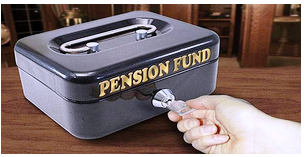 The administration department of Account General (AG) Andhra Pradesh and Treasury and Account departments will maintain Pensioners, Pension accounts.Andhra Pradesh Treasury department official website https://treasury.ap.gov.in/aptry/ and about pensioner information log on to https://treasury.ap.gov.in/pensions/index.php, The intentions of this site is mainly to facilitate the Pensioners to know the Present Status of their PPO and the Rates of the Pension. The Government servant who retire on attaining the age of Superannuation (Rule 33 & 42 of the AP RPR Rules, 1980) pension, Who had completed their years of services will be able to get the retirement benefits.Director of Treasury and account mainly to facilitate the Pensioners to know the present status of their PPO and Rates of Pension. Treasury and Account Department of AP is regarding service to 345000 Pensioners in 13 districts of AP state, To improve the quality of service and transparency of service offered to the pensioners. Government of Andhra Predesh Pensioners Who was get the details current month pension status, Pensioner Payment information,PPO arrivals status, Pensioner Grievance, Certificate for family pension, Arrears calculation, Pension notepaid cases, DR and other allowance, etc. How to check AP Pensioners, Pension status online ? Then select option "Current month Pension status"
Now Enter your PPO Number. Click on "Pensioner Payment information"
Excellent, thanks for putting the information together. My pension payment information is not seen on the website for two months. What are the reasons? Hi This is the same case for my father details. please let us know how we can get the details.